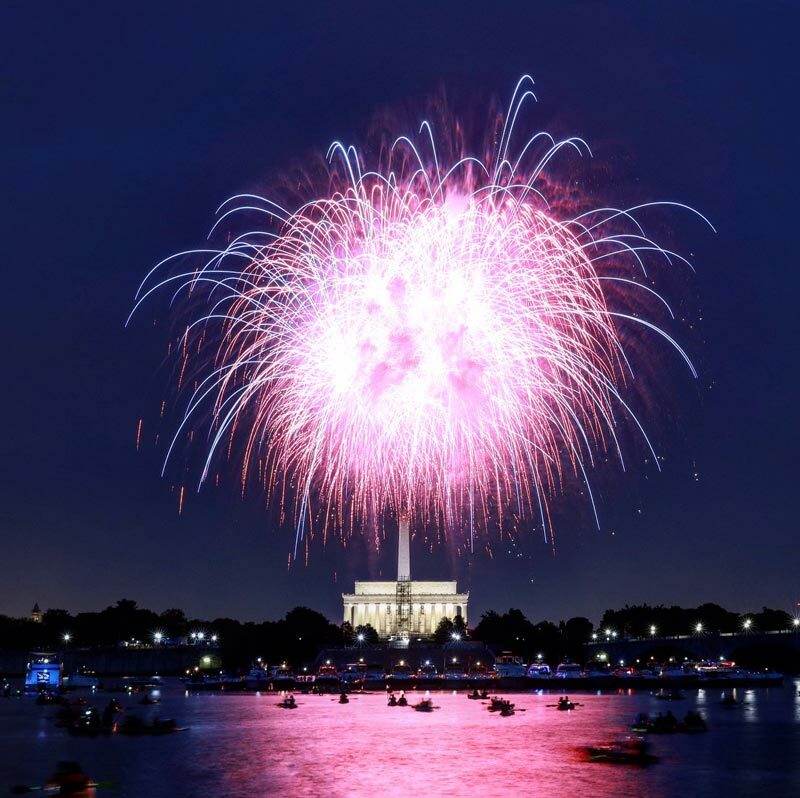 Savor summer’s biggest holiday – the Fourth of July – in the nation’s capital with fireworks on the National Mall, free festivities and so much more. 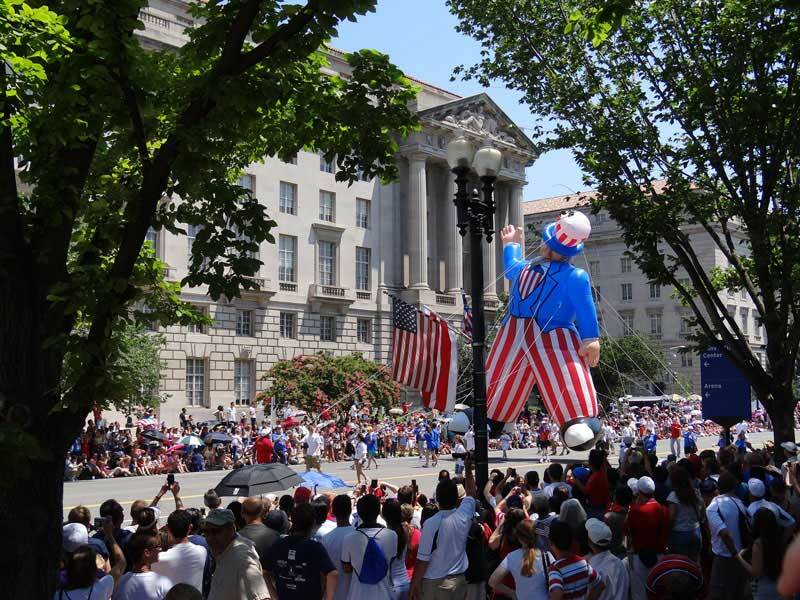 Each year Washington, DC celebrates the Fourth of July with a bang. 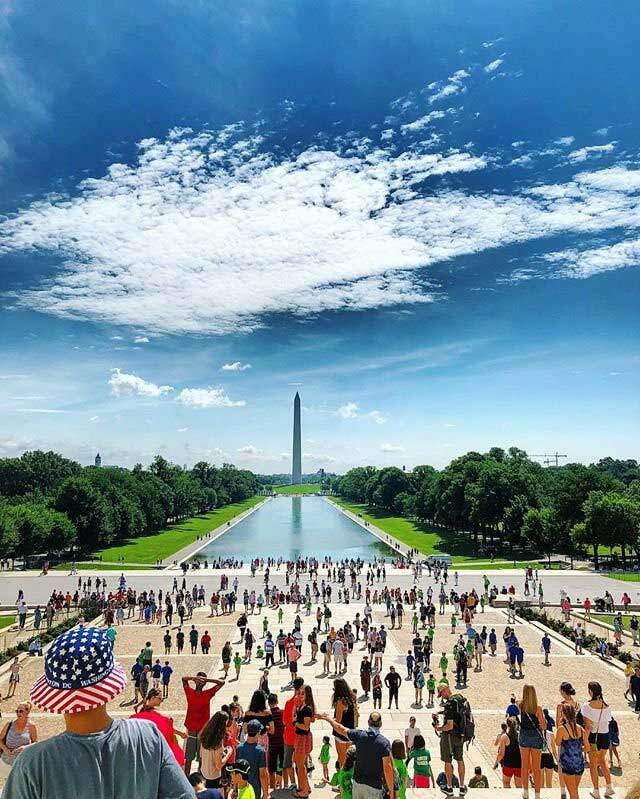 Along with viewing the dynamic fireworks show on the National Mall and attending the free A Capitol Fourth concert, visitors can celebrate America’s birthday in dozens of venues and in a multitude of ways. Check out all of the entertaining places where revelers can experience the fun and spirit of Independence Day in the most American of settings. Line up along Constitution Avenue to observe DC’s annual National Independence Day Parade. Expect to see fife and drum corps, military servicemen and women, elaborate floats and VIPs galore. The parade begins at 11:45 a.m. and is held between 7th and 17th streets. Find a spot on the West Lawn of the U.S. Capitol for A Capitol Fourth, which begins at 8 p.m. The concert commonly features a star-studded lineup of musicians and a performance of Tchaikovsky's 1812 Overture by the National Symphony Orchestra. The grand finale features jaw-dropping fireworks over the National Mall. Watching the fireworks is one of the highlights of DC’s Independence Day celebrations, and there are plenty of great spots to view them. You’ll find excellent vantage points from a few rooftop bars, sitting on the steps of the Lincoln Memorial, or across the river in Arlington. 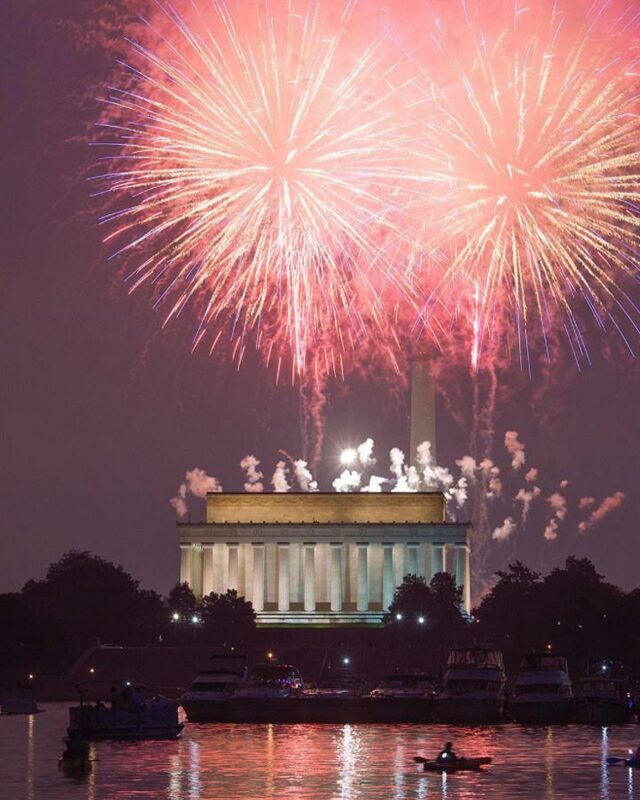 The fireworks show in the nation's capital begins right around nightfall, typically just after 9 p.m. 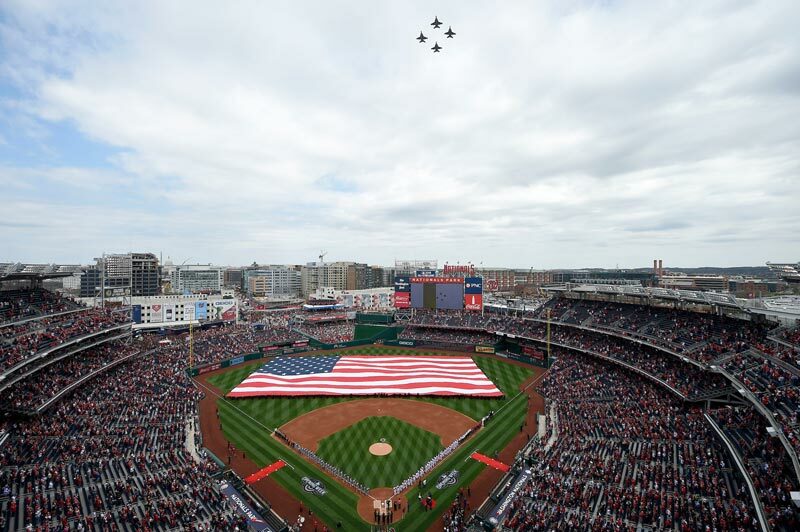 The Washington Nationals annually play at Nationals Park on Independence Day, holding an 11:05 a.m. game to accommodate the activities throughout the city the rest of the day. This year, the Nats will take on the division rival Miami Marlins. Expect an exciting game and a lively atmosphere at Nats Park for the early holiday game. 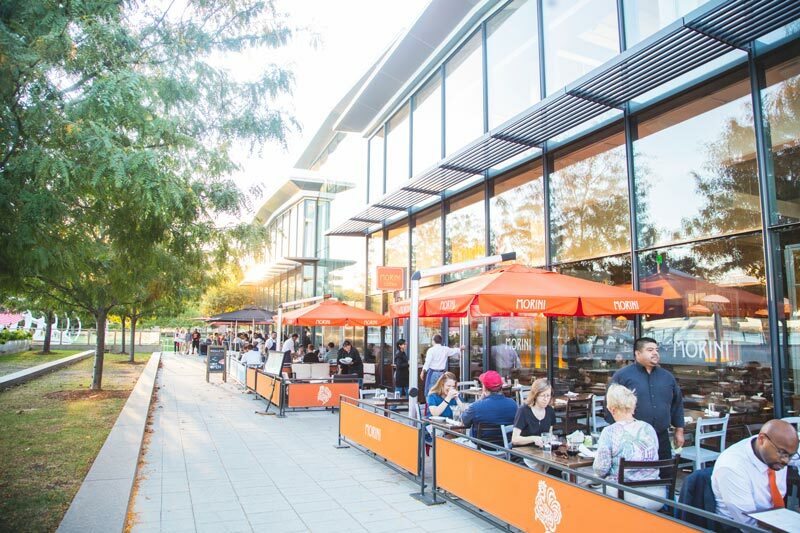 The banks of the Potomac and Anacostia rivers are flourishing with some of the DC region’s most exciting destinations for live music, sports, concerts and on-the-water activities. During your Independence Day visit, check out all there is to see and do on the The Wharf, at Georgetown’s waterfront and many more waterfronts in and around the District. Original copies of the Declaration of Independence, the U.S. Constitution and the Bill of Rights are all on display at the National Archives. After seeing these essential and historic documents, meet the Founding Fathers who helped establish the birth of a nation with programming featuring costumed actors in Revolutionary-era attire. 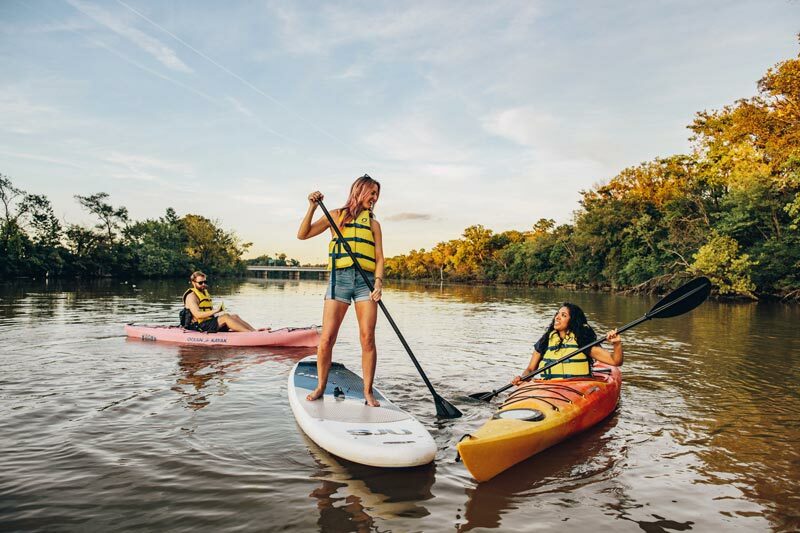 Set along nearly two miles of the beautiful Anacostia River, the booming Capitol Riverfront neighborhood is the ideal setting to share the outdoors with friends and family while celebrating summer's biggest holiday. The possibilities are seemingly endless here, so be sure to discover all of the neighborhood's dining, entertainment and exciting waterfront activities. 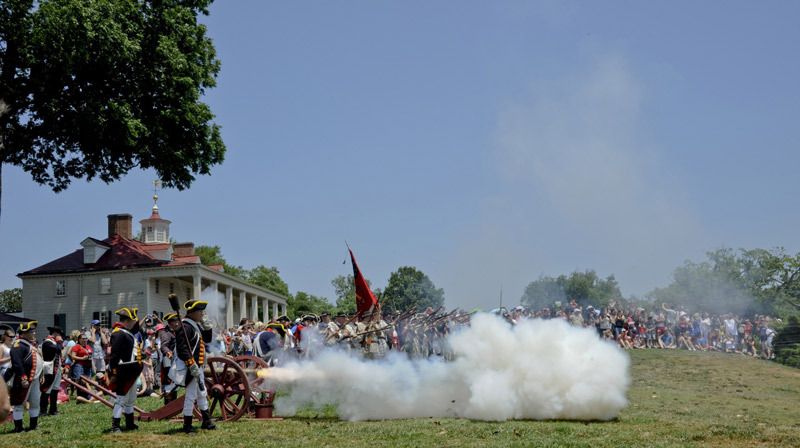 Get out to George Washington’s Mount Vernon, about 30 minutes outside of the city by car or bus, for an all-day, turn-back-the-clock Fourth of July. Marvel at gorgeous scenes of the Potomac River from the Founding Father’s estate, and listen to Revolutionary War-era music while savoring Colonial-style ice cream. The event also includes a special daytime fireworks display. 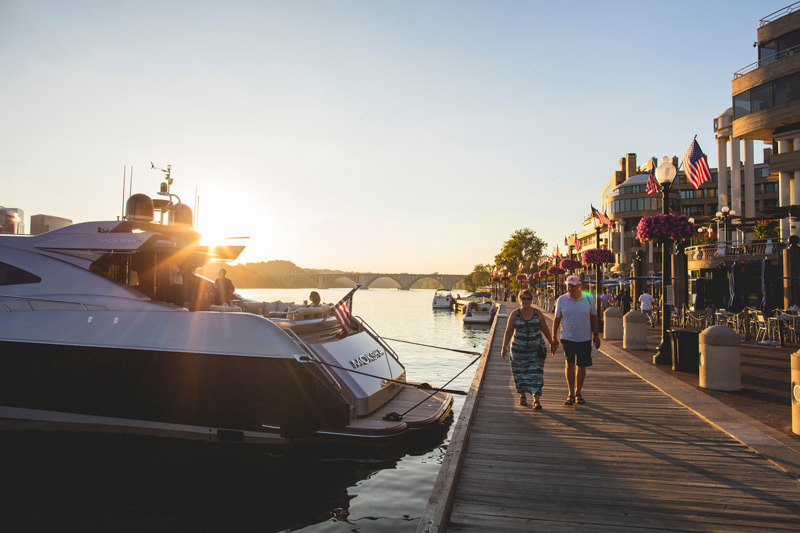 The Washington Harbour on Georgetown's waterfront is an ideal location for a full day of on-the-water fun or a celebratory dinner before or after watching the fireworks. The restaurants in this waterfront plaza provide convenient access to a fireworks viewing spot, as well as simple riverside relaxation. Make sure to make a reservation at Farmers Fishers Bakers, Sequoia, Nick's Riverside Grill or Tony and Joe’s Seafood Place. The National Portrait Gallery's America’s Presidents exhibit is ideal for an Independence Day visit for obvious reasons. 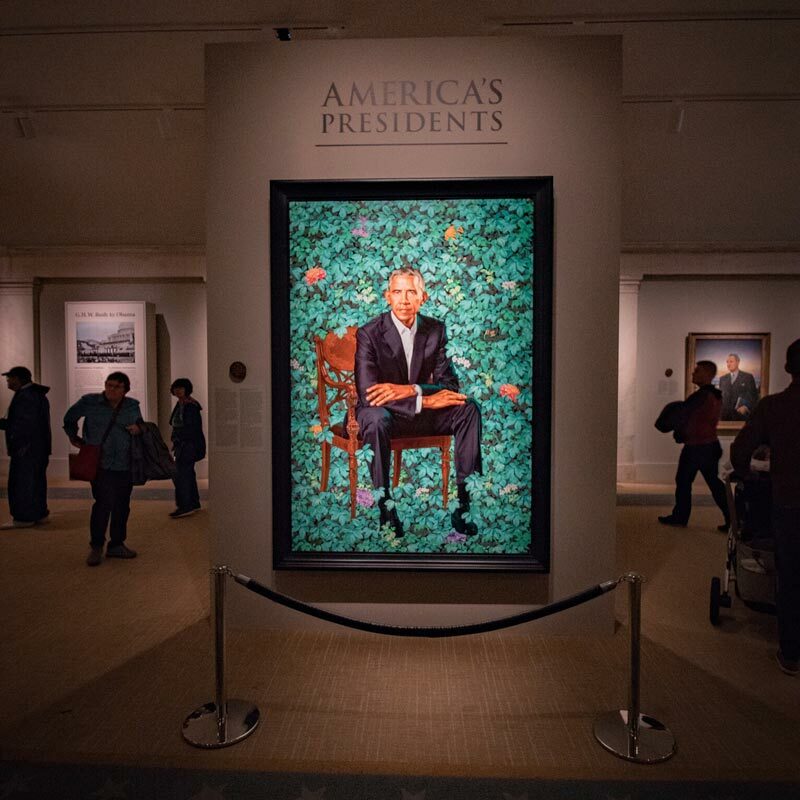 The collection displays images of all past presidents, as well as beautiful sculptures and famous paintings – including a stunning portrait of Barack Obama by Kehinde Wileythe. The exhibit also features interactive elements to make your experience that much more presidential. Enjoy a lunch or dinner cruise with Entertainment Cruises, which will provide stunning views of DC monuments and landmarks from an on-the-water perspective. There's also Embark DC, which offers customized tours that depart from the Georgetown waterfront, and Potomac Riverboat Company, which features a variety of narrated cruises on the river. 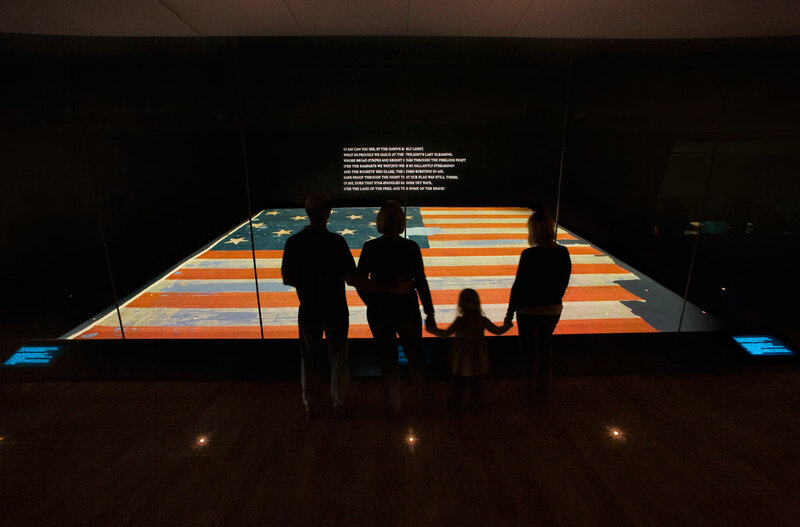 Dig deep into our country’s history at the fascinating National Museum of American History, an activity that aligns perfectly with the holiday. Observe the flag that inspired our national anthem, then take your young historians to Wegmans Wonderplace, an interactive and educational exhibit geared towards kids. There is also the dynamic Spark!Lab, where kids can experiment and invent on their own terms. And perhaps best of all, the museum is free to enter. When making hotel reservations for Independence Day, find out if your hotel offers a fireworks-viewing station for guests. 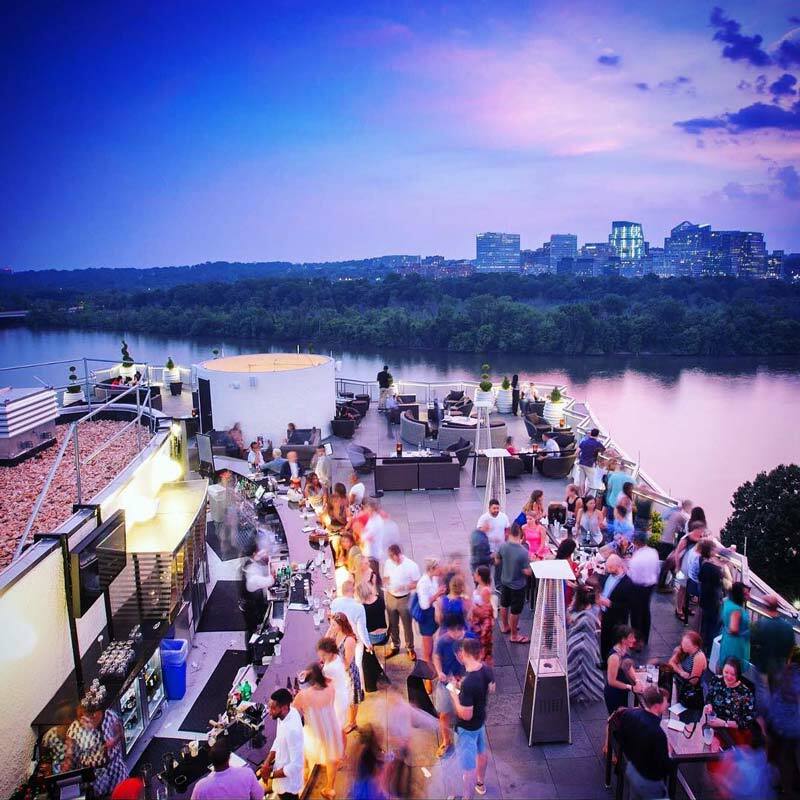 Hotels with rooftop bars are especially festive – be sure to check out the W Hotel's POV Rooftop Lounge and Terrace, The Watergate Hotel's stunning views from Top of the Gate and The Embassy Row Hotel in Dupont Circle. 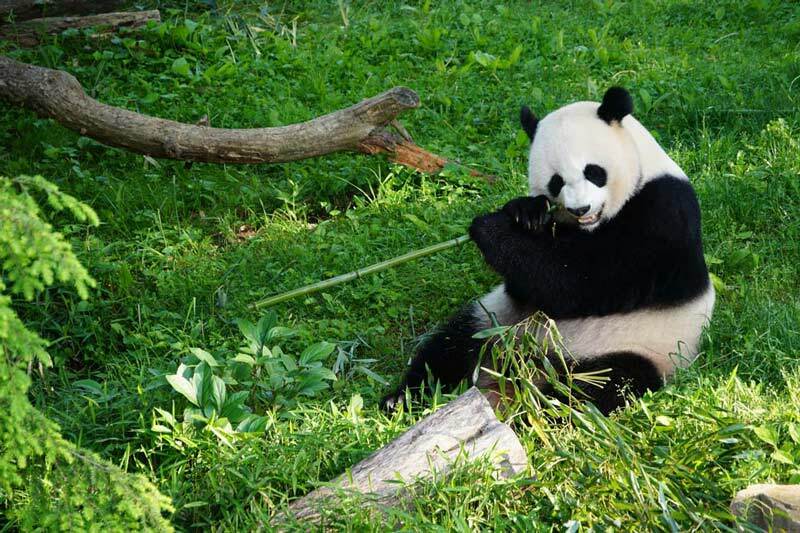 Smithsonian’s National Zoo offers free programs throughout the day. Observe elephants in training, help to feed the fish, meet a Great Ape keeper or explore a rainforest habitat. You can also see Bei Bei, the adorable panda cub sensation. Line up early at the Panda House (around 9 a.m.) for the best viewing opportunities. DC has been endowed with the Michelin Guide treatment, cementing the city’s position in the upper echelon of dining experiences. The options for an unforgettable meal are plentiful, from family-friendly eateries and Michelin-starred hot spots to gorgeous outdoor locales and brunch favorites. No matter what type of diner you are, you’ll find something to dig into in the nation’s capital. 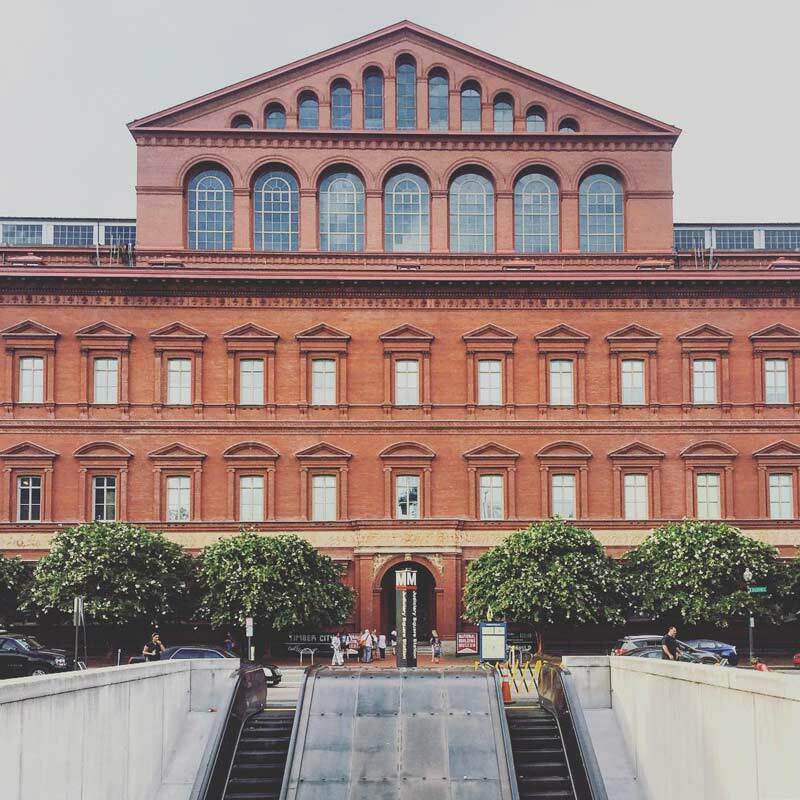 Each year, the National Building Museum opens an exciting new installation on July 4 as part of its Summer Block Party series. This year, reputable design firm Rockwell Group will display The Lawn, an immersive exhibit at the museum with details still TBD. The Lawn will be open through Labor Day. 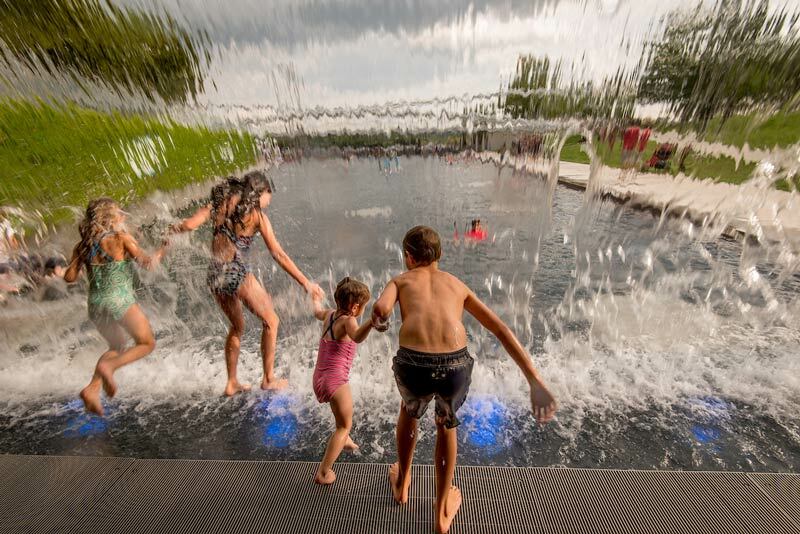 There is no shortage of outdoor recreation options in Washington, DC. You can bring the entire family to any of its gorgeous public parks and gardens, many of which are free to enter. The city and the surrounding area also feature numerous national parks, which give you and your fam even more space to run free in honor of the national holiday. Being in the city over the Fourth of July is the perfect time to witness the beauty of the National Mall. The District offers numerous tour and sightseeing options so that you can make the most of your sightseeing. 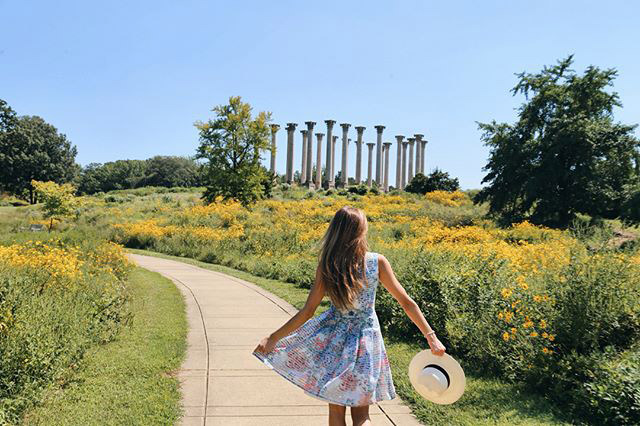 Book an excursion with DC Design Tours, Fiat Luxe Tours, DC by Foot or any of the other operations that will guide you through the wonders of the nation’s capital and its landmarks. 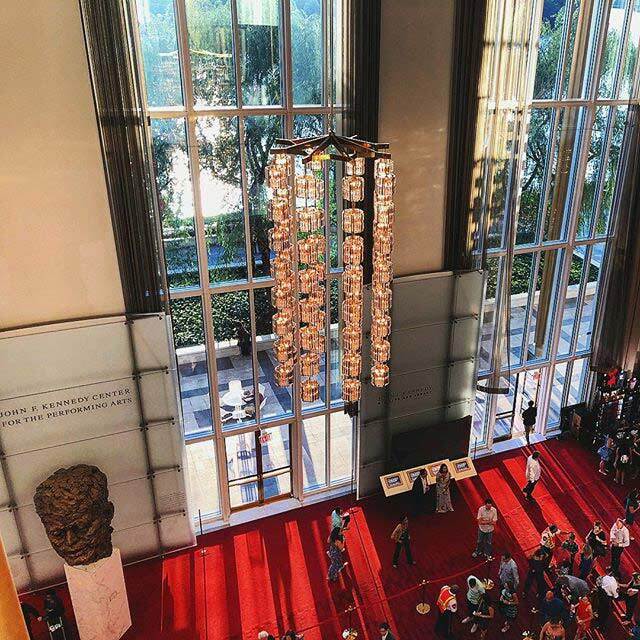 If you’re in town for the weekend leading up to the Fourth, the Kennedy Center has outstanding programming to enjoy. You can witness Broadway legend Betty Buckley take the stage in Hello, Dolly! (June 4 – July 7) or enjoy hearty laughs during The Second City's America; It's Complicated! (June 15 – Aug. 11). Millennium Stage also offers free, family-friendly performances every single day and you can save up to 60% on last-minute theater tickets to the best DC shows with TodayTix.